Lin Shao-mao (pictured to the right) has entered the Taiwan Junior High School textbooks as one of Taiwan's national heroes. Although he became first a government official then an outlaw under Ching Dynasty rule, he is celebrated for his staunch resistance to the imposition of Japanese rule which followed the signing of the Treaty of Shimonoseki in 1895 whereby Taiwan was ceded to Japan by the Beijing court in China. Lin Shao-mao [ 林少貓 ] (Lim Siau-niau, or Lin Hsiao-mao) was born in 1866 at Chu-kao-lam [ 竹篙濫 ] (‘bamboo forest’), opposite to the Pao-chuan Temple [ 保全宮 ] in Wan-chuan Village [ 萬全村 ], Wan-tan [ 萬丹 ] Township, Pingtung County. His father was a butcher in Pei-she-tou [ 北勢頭 ], just to the north of A-hou Chieh (Street), with both locations being within today’s Pingtung City [ 屏東市 ] in the southwest of Taiwan. Lin Shao-mao also went to live in A-hou [ 阿猴 ] where he had a rice-mill named Chin-chang-mei [ 金長美 ] (Gold-long-beauty). In time, and indeed probably through his father’s help, he rose to have much power in the fish and pork markets of A-hou. This was the first indication of Lin Shao-mao's skill in getting different groups and factions to work together, and perhaps the one that attracts him most to some of today's politicians. The story is told of how Lin Shao-mao once dissuaded some robbers in A-hou. One day, during the latter part of the Ching Dynasty rule, when Taiwan was still largely a lawless and haphazardly-ruled province of China, a band of robbers entered the main market at A-hou. Their intention was to steal salt from the market, then an Imperial monopoly. Lin Shao-mao dissuaded them by expostulating that since salt could be obtained freely from the sea, why should they come to bother honest people. Amazingly the brigands agreed and withdrew from the market. This tale of clever bravado reached the ears of the Ching mandarins and Lin Shao-mao was rewarded with a position as a petty government official in the then capital of Taiwan-foo (Tainan). However, Lin Shao-mao could not resist the call of his connections and shady associates from A-hou, and within a short time he found himself accused of corruption. As a result of these accusations he was forced to leave his government position and flee to A-hou. In this way Lin Shao-mao became an outlaw and the leader of the A-hou gangs. The outlawed Lin led his followers to settle in Ye-shu-lun at Ta-lun [ 大崙 ] in the Lower Tan-shui River estuary, to the west of She-pi Village. 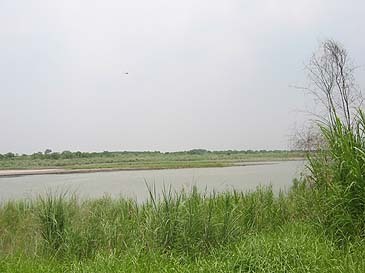 The site at Ta-lun is described as ‘a high land with fertile soil covered with sea hibiscus (Hibiscus tiliaceus) trees’ covering some 38 chia (approximately equivalent to 35 hectares). At Ta-lun the outlaws carried out farming, both of crops and livestock, but also used the base to methodically rob the nearby villages of Chuan-liao, She-pi, Kuang-an, Yu-chan, Ta-cho and Shi-cho. Records relate that they stole pigs, cattle and other animals to kill at Ta-lun: they also demanded money and even women from the hapless villagers. As a result of this pillaging, the local inhabitants reportedly all hated Lin Shao-mao. Changes were to occur in Taiwan which would change the people's perception of Lin Shao-mao and subsequently convert him into a nascent national hero. As a result of the Sino-Japanese War, which had pitted a post-Meiji Restoration 'modernized' Japan with European weaponry against the still insular and thus militarily primitive China, the Ching dynasty court in 1895 was forced to cede the island of Taiwan (Formosa) to Japan under the terms of the 17 April 1895 Shimonoseki Treaty. The Japanese moved to take control of Taiwan in May 1895. The main defences fell rapidly to naval assaults, but, as the troops marched south through the island, they faced not only the depredations of diseases, such as malaria and enteritis, but also a stiffer resistance from the traditionally independent Chinese, and especially Hakka or Cantonese, settlers. A Taiwan Republic had been declared shortly prior to the Japanese invasion. However, after the first president, Tang Ching-sung, had fled to China, the de facto president became the renowned Chinese warlord Liu Yung-fu, who had arrived on the island with his Black Flag militia a few months previously and was based in Tainan in the south. The Black Flag troops were the personal militia of Liu Yung-fu [ 劉永福 ]. Liu Yung-fu was born in 1837 to an impoverished Hakka peasant family originally from Bobai County, Wuzhou Prefecture of Kwangsi Province near the Sino-Vietnam border - this province being particularly turbulent in the years during the 1850s of the Taiping Revolt. Starting as a bandit leader involved into the early opium trade between the highlands of Vietnam and Canton, Liu Yung-fu had melded his men into a well-disciplined band skilled in martial arts and ruled an effectively independent fiefdom on the Sino-French border in the 1860s and beyond. 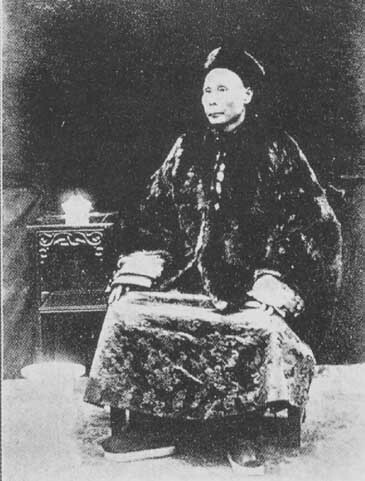 Although initially regarded as a rebel leader by the Ching court, he parlayed his way into favour by fighting for the tribute kingdom of Vietnam against the assertive French from 1873 to 1884. After returning to Canton in 1885, Liu and the remnants of his Black Flag militia had proved a problem for the Ching Court. The court thus welcomed the opportunity to despatch Liu Yung-fu unofficially to Taiwan in 1895 with the lure of creating his own tribute state. Thus Liu arrived in south Taiwan with his ageing yet loyal Black Flag troops, and with a fabled reputation for bravery and the martial arts. Lin Shao-mao had been an ardent martial arts enthusiast since childhood, and thus answered the call of Liu Yung-fu to join the forces of the famed Black Flag to defend the nascent Taiwan Republic against the invading Japanese forces in 1895. Lin’s forces initially held Fengshan City [ 鳳山市 ] against an advance party of Japanese troops; however, on 15 October 1895 the main column of Japanese troops easily took control of the city. 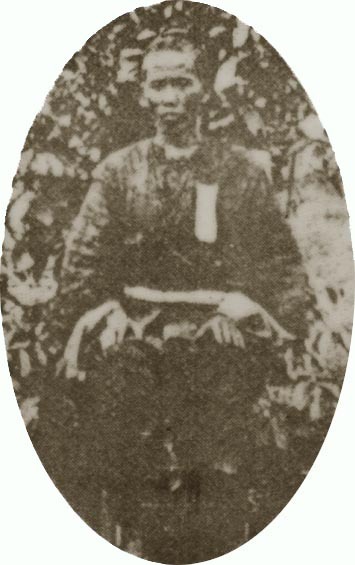 Shortly thereafter Liu Yung-fu, dressed as an old woman, fled from Tainan's Anping port aboard a British ship called Thales . Despite being stopped by a Japanese naval ship, Liu successfully arrived at Amoy (Xiamen) , from whence he was warmly welcomed in Canton by high officials: to many minds this escape and welcome effectively terminated the short-lived concept of a putative Taiwan Republic being anything other than a Ching plot. However, the resistance by Taiwan settlers and natives would continue for several more years. How Lin Shao-mao fought on against the Japanese with surprising success is described on the next page.